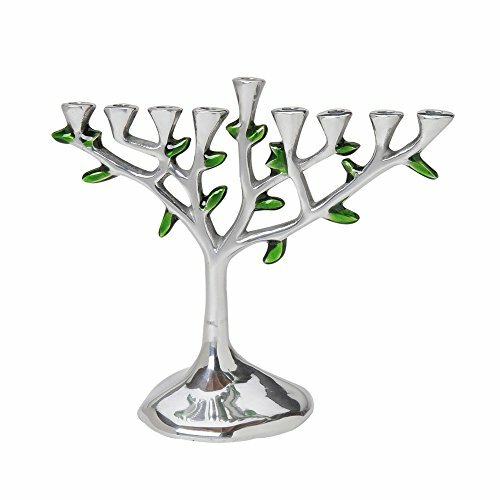 The Tree of Life in Brushed Aluminum with Green Enamel Accent Leafs. The Tree of Life has a sold base to maintain stability. This is a perfect gift for any occasion. Brushed Aluminum with Green Enamel Accent Leafs. If you have any questions about this product by Israel Giftware Designs, contact us by completing and submitting the form below. If you are looking for a specif part number, please include it with your message. 9" Children's Colorful Chanukah Hanukkah "My Soft Menorah Set"